Is A Built-In Hot Water Heater Needed? For a lot of consumers, the feature of a built-in water heater inside a carpet cleaning machine appears very attractive. 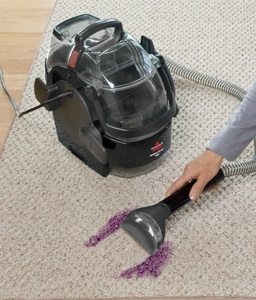 With most domestic use carpet cleaning machines, users will add hot water to the machines for cleaning the carpets. However, a few models in Bissell’s ProHeat series of machines include built-in water heaters. These Bissell cleaners with water heaters will typically heat water temperature up by up to 25 °F, up to a temperature of approximately 170 °F. For sure, this is a helpful feature because it heats up the water internally. If you just rely on filling the machine with hot water, the heat will cool off over time. Having a built in water heater makes cleaning more effective as the water stays hot longer. 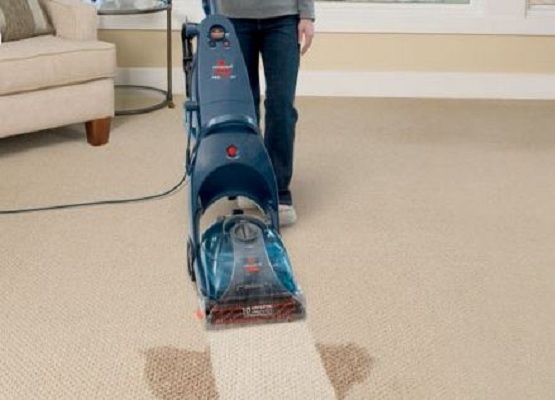 Hotter water works better in weakening the bonds between the dirt particles and carpet threads. Unfortunately, the built-in heating mechanism also makes the machine more complicated and increases the risks of machine malfunctions. 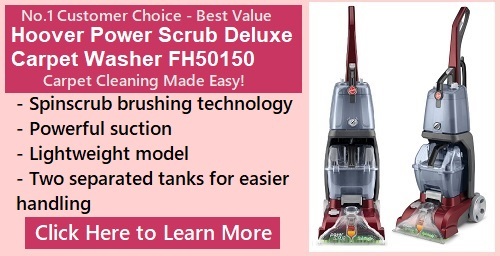 Users will need to be more careful with placing any non-Bissell branded cleaning solution in the tank, as the added heat can change the chemical composition of the solution and affect the machine. Other users have attributed their Bissell ProHeat machine malfunctions to the use of the built-in internal heating feature. We can’t prove or disprove this, but the heating mechanism has been named by users as the culprit in clogging the pipes of the machine. Unless you feel strongly about the feature, the slight advantage in cleaning power may not be worth the risks involved. 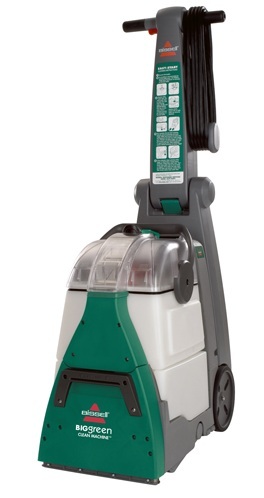 The tank capacity of most home carpet cleaning machines are limited to a gallon or just slightly over. So if you fill the tank with warm water, it usually gets used up fairly quickly before there is too much time for the water to cool down. It is interesting to note that Bissell’s professional grade model does not have an internal water heater feature. There is another consideration. Dust mites perish in hot water. Keeping the water temperature above their tolerance limit of 130 degrees F is a great advantage to anyone with dust allergies.